We believe everyone has a story the world needs to hear. That’s why we help listeners organize storytelling parties and, optionally, submit their recordings to the True Story podcast. All it takes is a few friends and a decent recording device (a smartphone will do). Step 1. Throw a True Story party with friends, using our trusty guide. Step 2. Record the event and submit your best stories to us. Step 3. 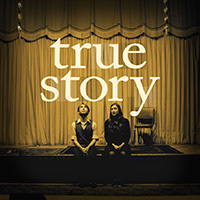 Get heard by tens of thousands on the True Story podcast. Fill out the form below to join the True Story hosting community. By joining, you’ll gain access to our Guide to Hosting a True Story Party and our occasional email newsletter with useful tips and news for the hosting community.